Our strategy is simple: Partner with industry and thought leaders in the ECM and SAP® marketplace. Headquartered in Walldorf, Germany, with locations in more than 130 countries and its breadth of business applications, services, database and technology, SAP® is the world's leading provider of enterprise software and services. e-Wave Solutions is an authorized SAP® Business Partner. 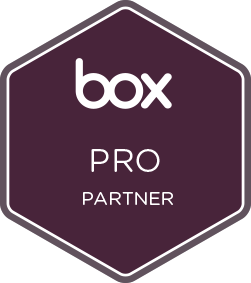 By combining the core features of traditional content management with the usability of typical online collaboration software, Box is reinventing how businesses share, manage, and access all of their content with Cloud Content Management. e-Wave Solutions are the premier SAP® System Integrators for Box. The industry leader in ECM software and operations - creating business critical solutions that solve complex problems using the latest content, process, and compliance technology. e-Wave is an IBM Authorized Business Partner. RKO solves complex content & process related business problems. The company’s custom solutions help organizations better manage documents, streamline processes, surface business knowledge and mitigate compliance risk. With a 15 year legacy of success, RKO is Canada’s leading Enterprise Content Management (ECM) consulting company, an IBM Premiere Partner, Microsoft Gold Certified Partner and winner of IBM’s ECM Business Partner Achievement Award. The world’s largest independent SAP® users group, with over 100,000 members, is a dynamic community dedicated to helping companies discover and implement new ideas. e-Wave is a proud Associate Member of the ASUG community.